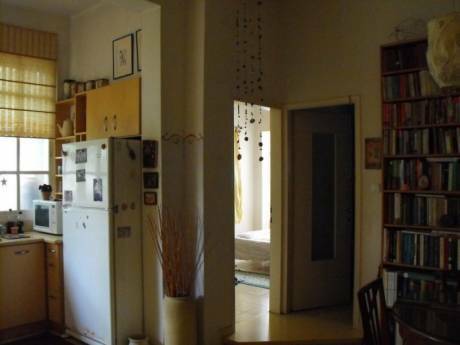 This lovely three bedroom condo is in a doorman building positioned near the beaches of North Tel Aviv, and a 10 minute drive to the center of the city. Underground gated parking lot with parking space included. 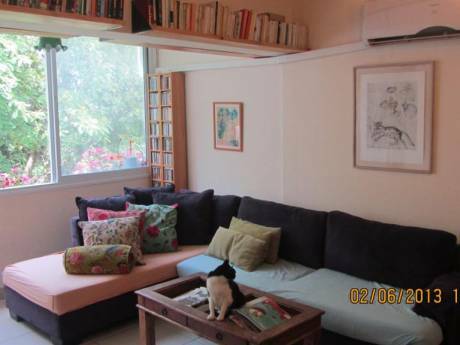 Very comfortably sleeps 4 in bedrooms, and has high-speed internet, printer/fax machine, and cable television in the living room and master bedroom. The master bedroom also has its own full private bathroom, and another bathroom and powder room are included in the layout as well. Kitchen is fully-equipped with dishwasher, microwave, range and oven, all newer appliances. Dining room can seat up to 10 people. Living room opens onto private terrace. My wife Ofra and I (Oded) lived in the US for twenty years, and returned to Israel two years ago where most of our family resides. One of our three sons lives in Brooklyn and is expecting his first child, so we are coming back to the US for the birth and are looking for comfortable accommodations. This is our first time doing a home exchange. We are clean and organized, as is our apartment, but we appreciate the feeling of a home as opposed to a hotel. We would hope to find an apartment suitably well-kept and maintained. Situated on a quiet street near the beach in the north part of Tel Aviv, away from the noise and bustle of the city, but a short ride from the cafes and restaurants and boardwalk that make this city famous. 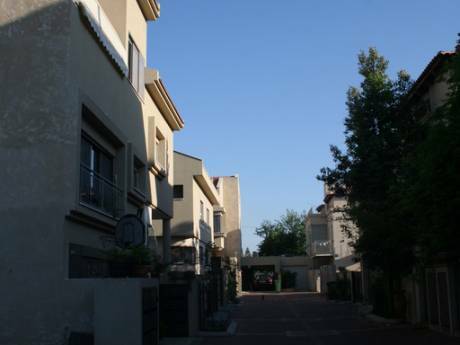 This is an upscale residential neighborhood that is situated at the border of Tel Aviv and Hertzeliya Pituach and a 5 minute drive from the Ayalon Highway which will take you to Jerusalem, Haifa, the North and South of the country. The neighborhood has a sizable supermarket, cafes, shops, and many parks.